Tuscany is the ideal region for producing excellent extra virgin olive oil, thanks to the structure of its soil, climatic and environmental conditions. The variety of olive trees, cultivation technique, harvesting of the olives with the right degree of maturation, and their careful processing contribute in Tuscany to producing a premium quality product. In the many positions on the shelves for olive oils, this variety does not always attract the right attention. 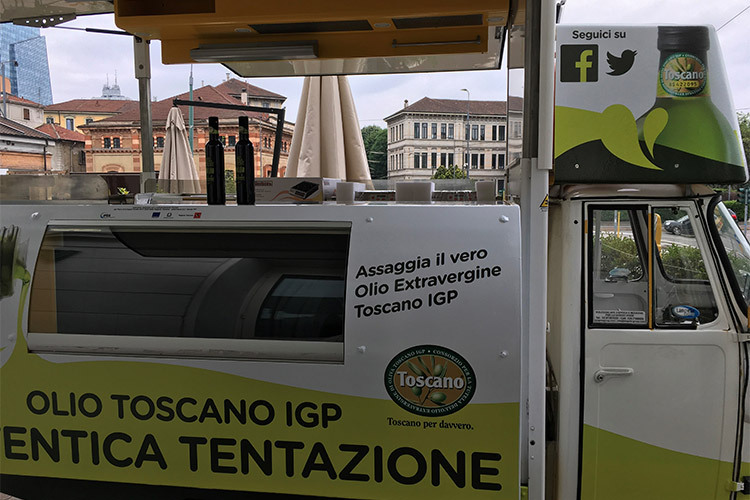 That is why the Consortium for the Protection of PGI Tuscan Extra Virgin Olive Oil has launched some initiatives that can better involve consumers. ‘Autentica Tentazione (Authentic Temptation)’ is an example. 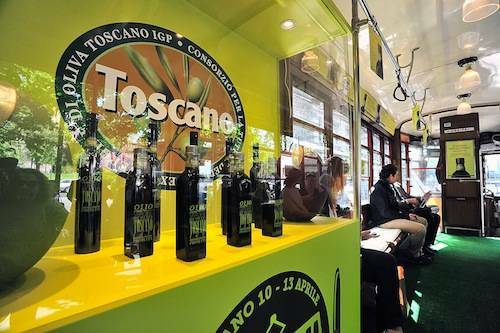 It was the name of the event on the road organized in Milan by the Consortium with the aim of promoting the product and making the consumers aware of the importance of oil certification, also offering the opportunity to taste it and appreciate its goodness. Three ‘Ape Car’ motorcycles branded with PGI Olive Oil recently crossed the streets of Milan, creating brand awareness and promoting tasting events that took place on weekends. The motorcycles stopped in some of the most central locations in Milan (Piazza Argentina, Largo La Foppa, Piazza Piemonte e Viale Gorizia, Passeggiata Veronelli, via Pontaccio), giving the passers-by the possibility to taste Tuscan Olive Oil free on classic courses of Tuscan tradition: pappa al pomodoro, ribollita, panzanella, and bruschettine. On Sundays, instead, real show cooking were proposed by great Tuscan chefs, who prepared really inviting courses prepared with highest quality ingredients, obviously enhanced by Tuscany's extra virgin olive oil. Even in this case, outdoor locations were chosen, easily accessible on foot, to promote the tasting moments.